Unless you are older than 45, you were probably never able to watch some of the great Thoroughbred Sport Horses of the past in person. I want to share with you one of the best ever, one that I had a special relationship with – Idle Dice. I bought this horse through Danny Lenehan when he was a 4-year old, only weeks off the race track. There was nothing special about his breeding and he was unsuccessful as a race horse. But he sure had talent to jump. He was one of the easiest horses to train and, as Rodney Jenkins always said, he just had to stay out of his way and let him do his job. And that job was winning. I showed him successfully as a first year green and working hunter as a five year old and sold him to Rodney in the late summer. I paid $3,500 dollars for him and sold him to Harry Gill for $12,000.00. I think the year was 1969. With Rodney he went on to win 31 Grand Prix’s and retired sound at the age of 21. Click here to see the video topic, “How Idle Dice Met Rodney Jenkins” to learn more about Bernie’s connection to Idle Dice. Excerpt of Idle Dice From "A Tribute to the Thoroughbred Sport Horse"
Click here to view the full documentary on our website. A must see for any fan of the Thoroughbred! 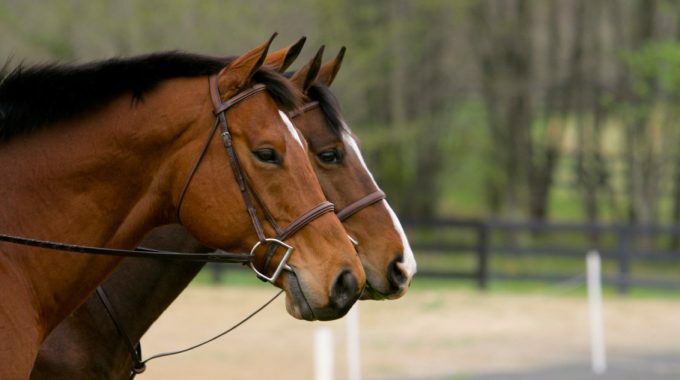 Bernie outlines some tips you need to know when considering a career purchasing and selling Thoroughbreds. 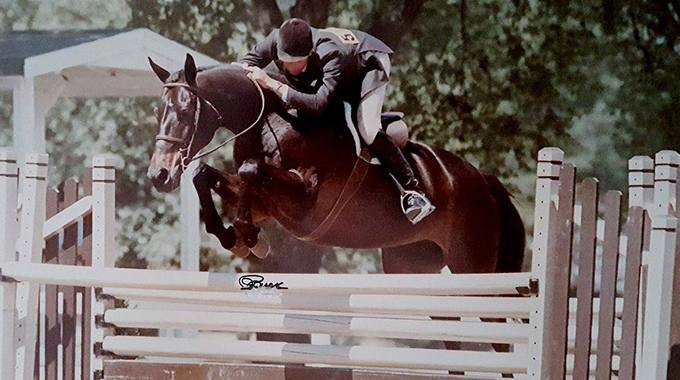 Marianne Taylor shares the story of the quirky Thoroughbred, Mind Games, and how a special group of individuals helped this horse beat his insecurities and shine in the show ring. 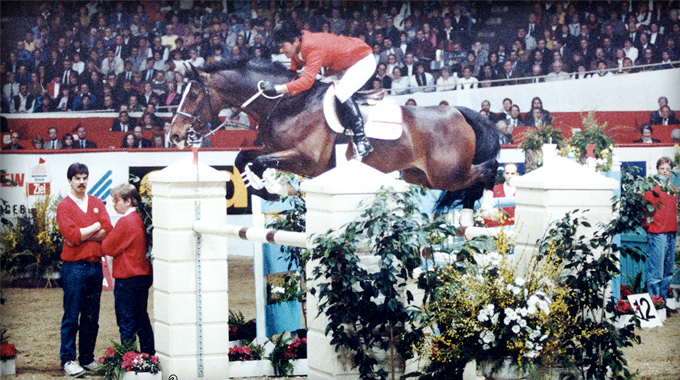 I had the privilege to watch Rodney ride this awesome horse at Devon. They were one mind & soul when in the ring. What a huge talent in a perfectly compact package. 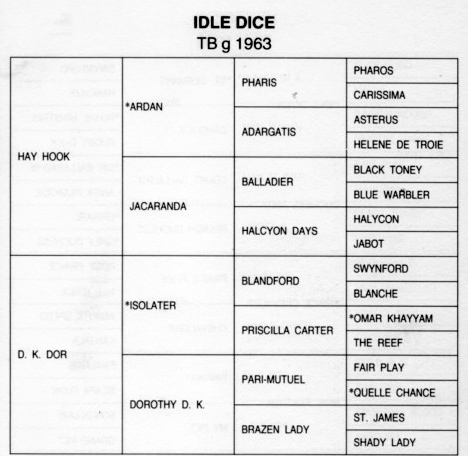 I had the pleasure to watch Rodney and Idle Dice win at the WIHS year after year during the ’70s. 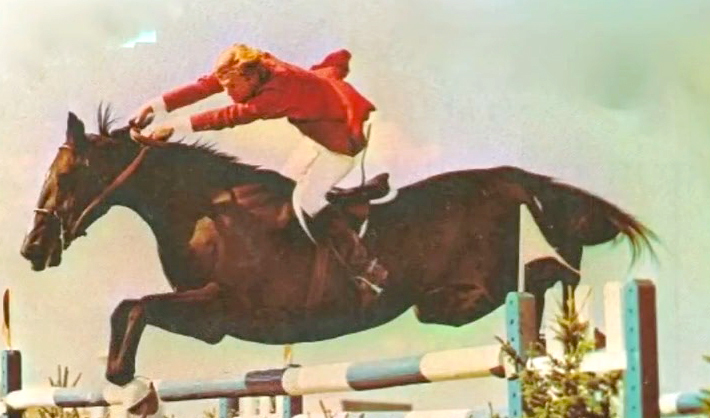 After his show jumping career was over also saw him ridden as a junior hunter. What a wonderful horse. Wish the sport would once again recognize the ability of Thoroughbreds as jumpers and 3 day event horses. I absolutely adored this pair! I am 78 years old and lived in Dela. County at the time of his career at Devon. I never missed an event of his. Rodney was AWESOME! So many riders try to guide the horse… with Dice.. as Rodney said, just stay out of his way and enjoy the ride, which he did perfectly! Those were the days when you could go back into the barns. I remember Dice being in the back barn in the stall to the left. I was mesmerized in his presence. He allowed me to pet him and seemed to listen as I talked to him. then all of a sudden Rodney was by my side. He was friendly and gracious, thanking me for my support. These are moments I will always remember and cherish! Thanks so much for posting this. I will keep it forever!!!! I turned 80 in June and look back on many great Thoroughbred moments. I remember Idle Dice well. He and Rodney gave me many of those moments. Thanks for the memory. I too saw Rodney Jenkins and Idle Dice at Devon in the 70s. That horse could turn on a dime and jump the moon. It is a memory I will never forget. Did Idle Dice live in Collegeville on Water Street? If so, does anyone remember which stall?